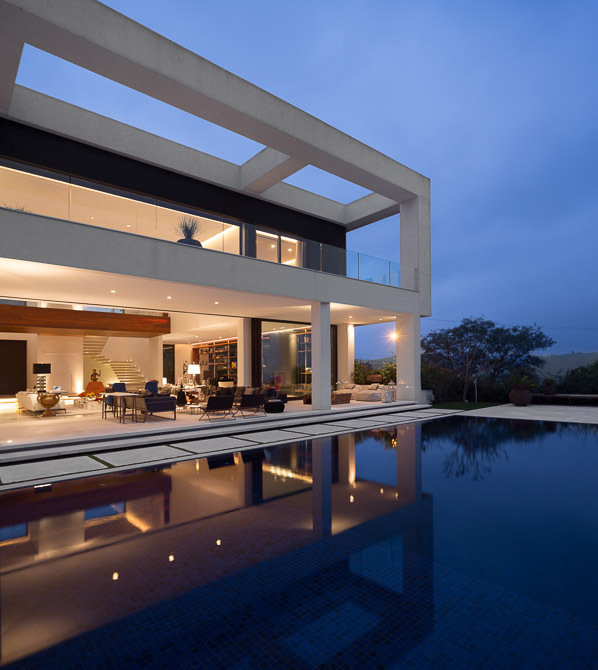 Brazil just got richer for another gorgeous piece of modern architecture. 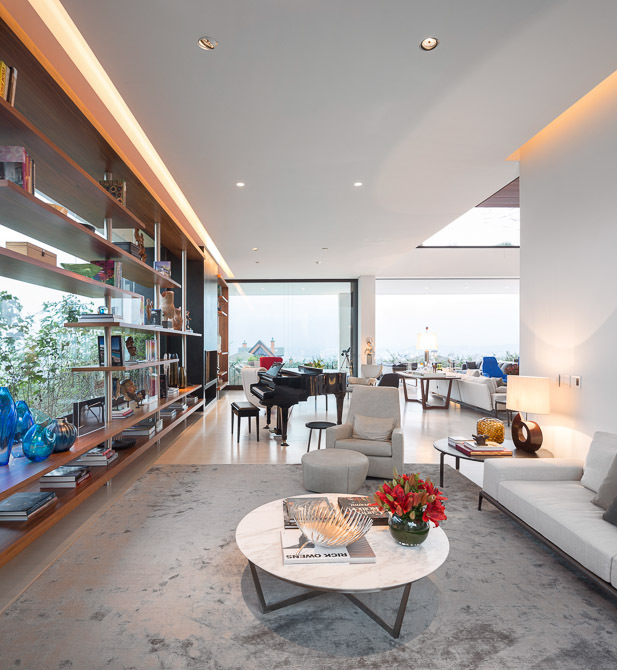 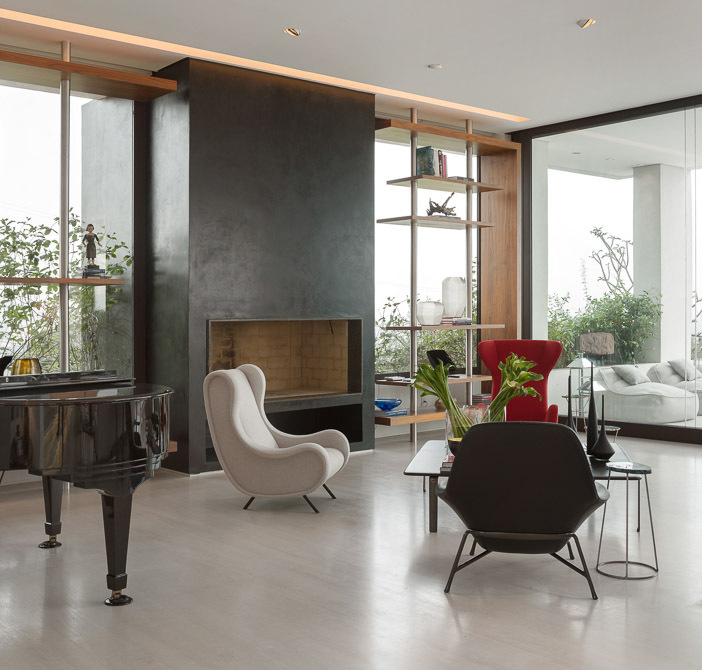 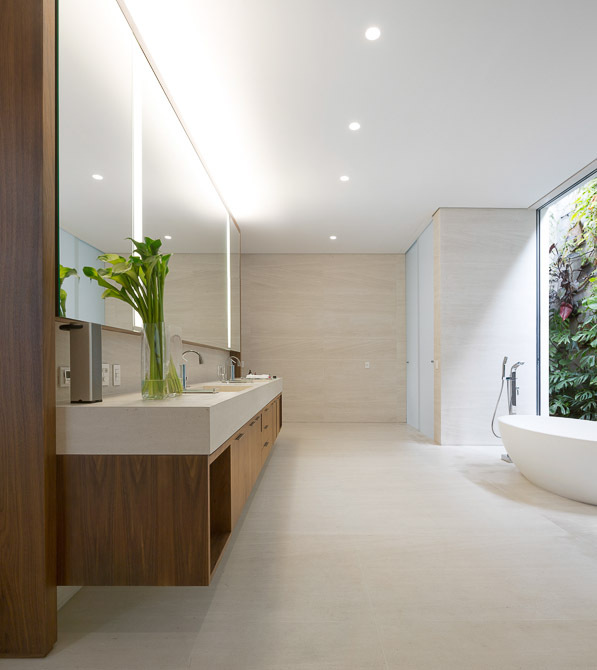 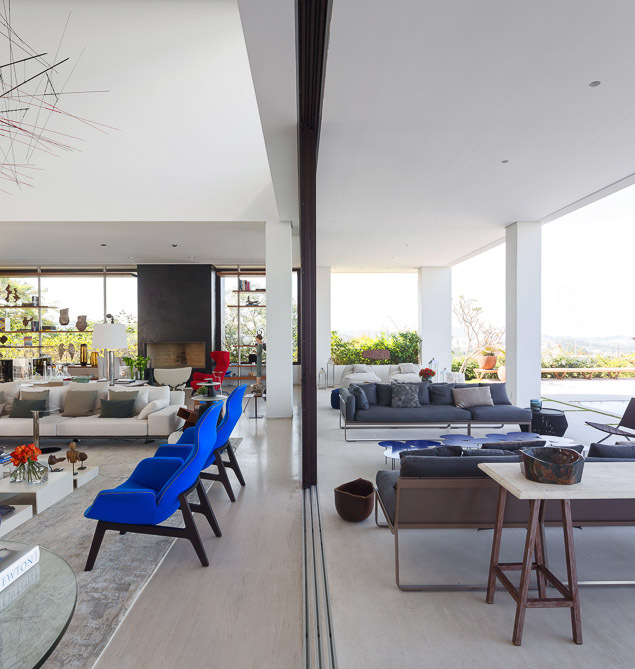 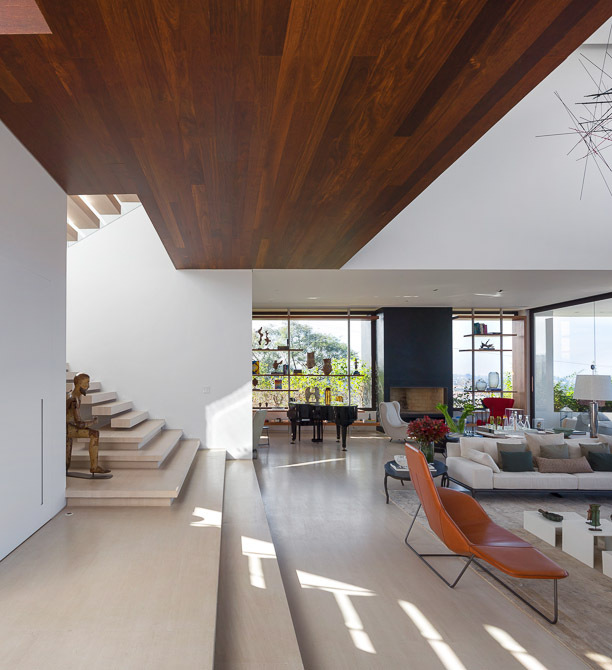 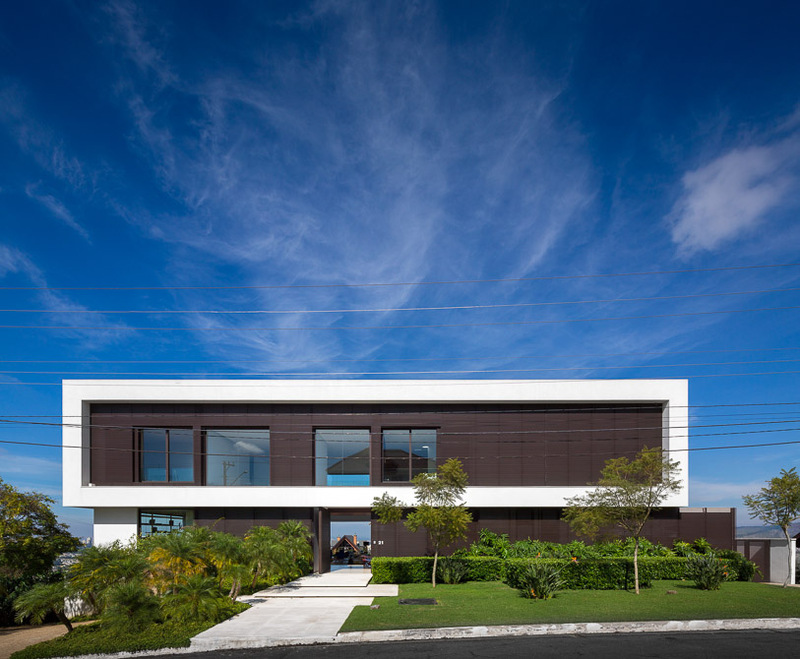 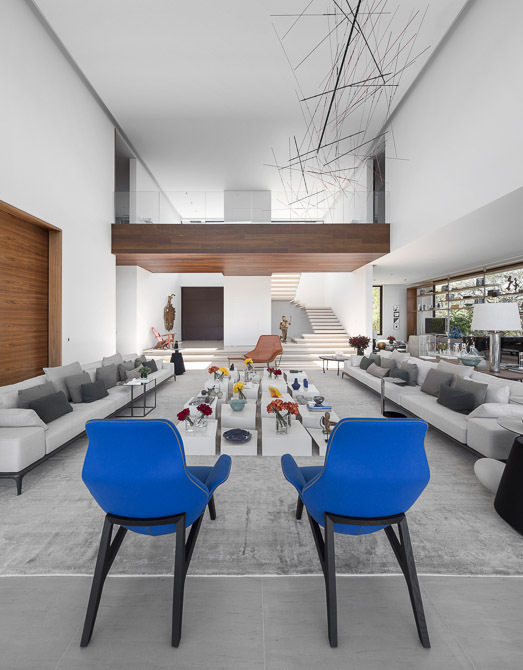 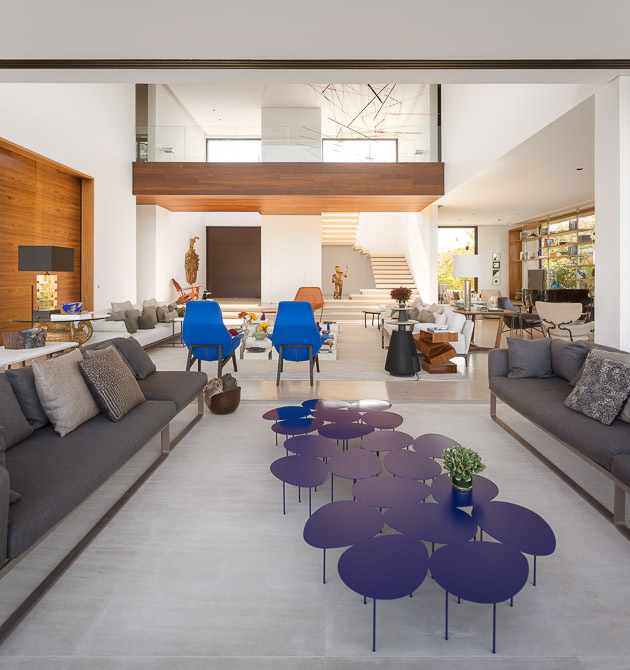 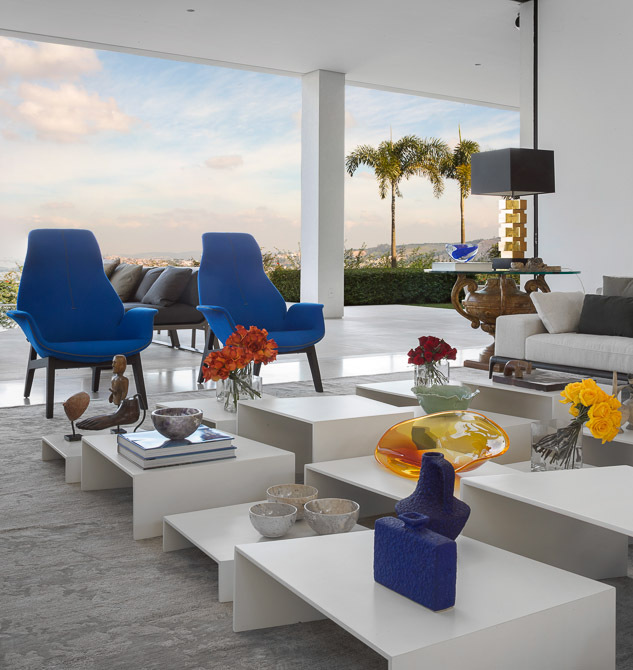 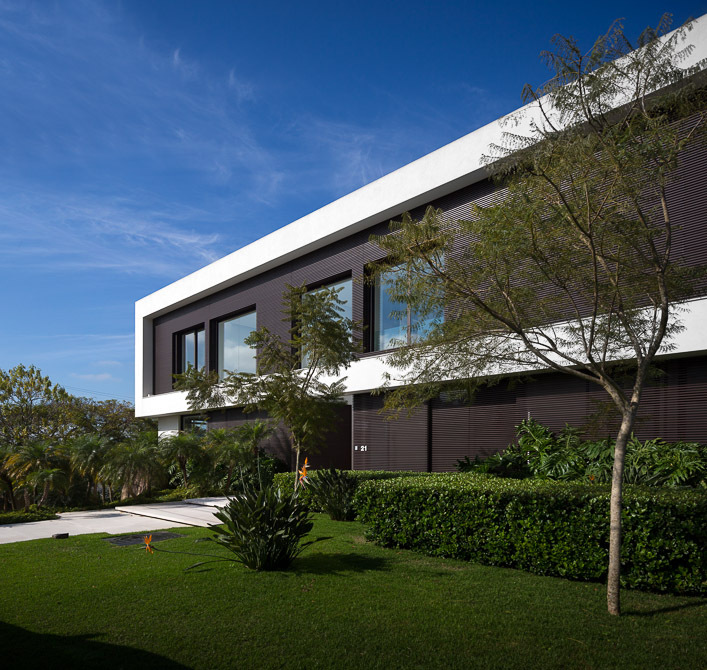 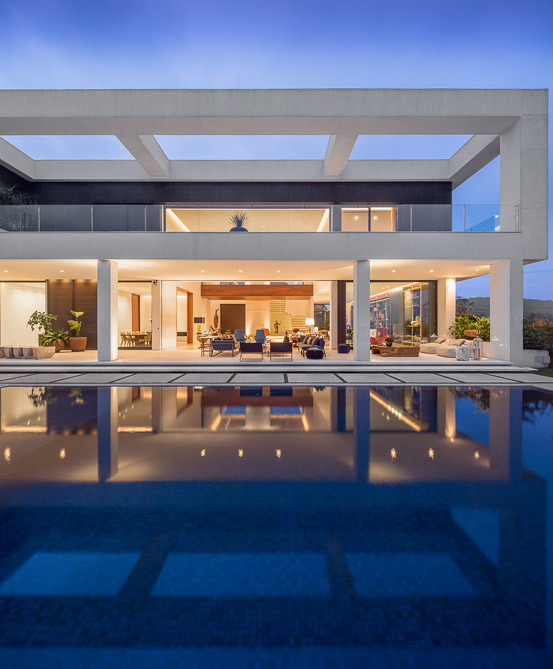 Jaragua Residence is appealing modern home designed by Fernanda Marques on the hills of São Paulo, Brazil. 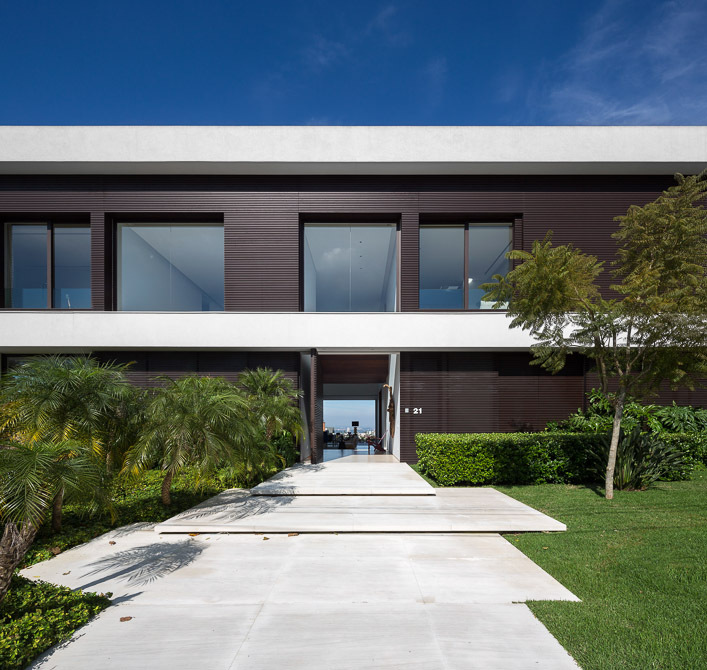 Front facade is defined by the bold lines of white concrete, especially upper floor while ground floor is mostly hidden by green vegetation. 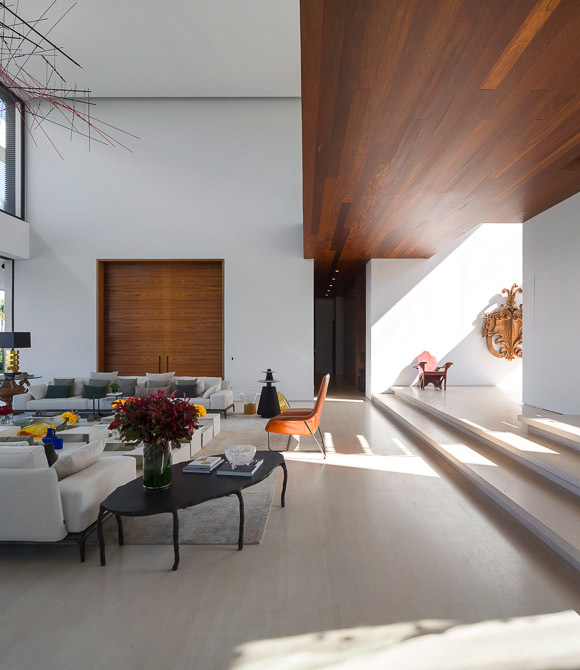 With dark wooden textures inside, that makes first floor look like it floats, which is pretty cool design trick if you ask me. 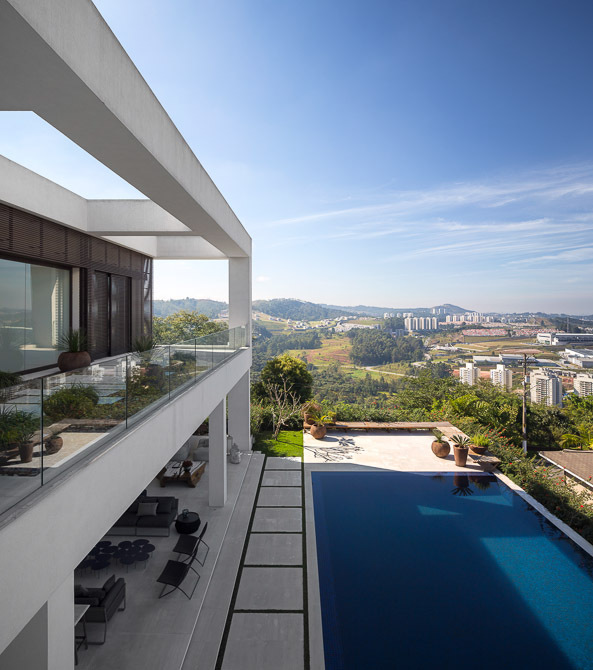 Rear elevation is, of course, more open with balconies overlooking backyard with swimming pool and offering beautiful city views. 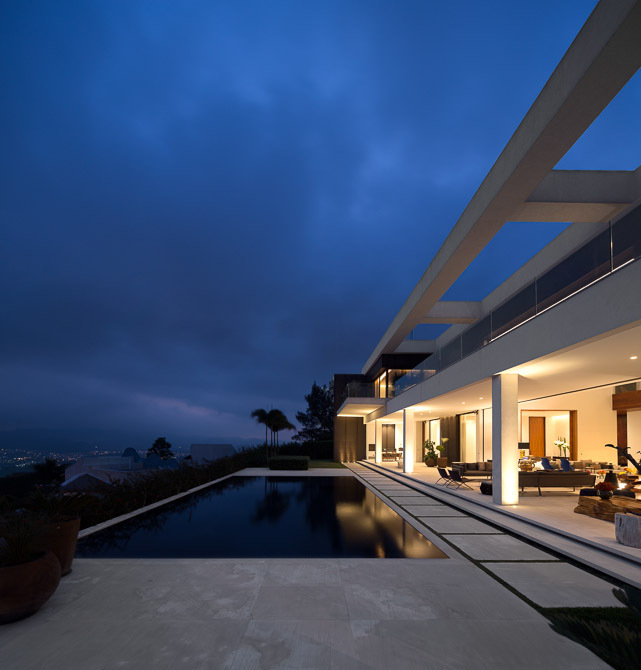 Terraces and balconies especially look good at night with lights turned on. 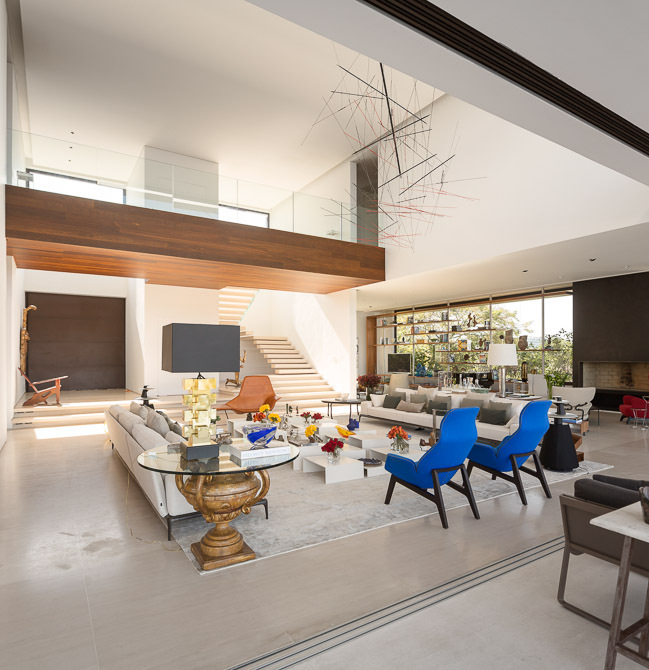 Interiors are really huge, with open floor plan layout. 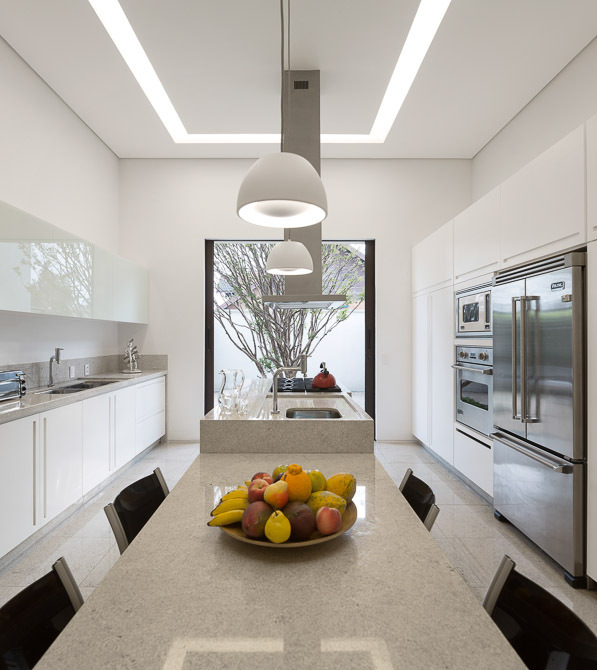 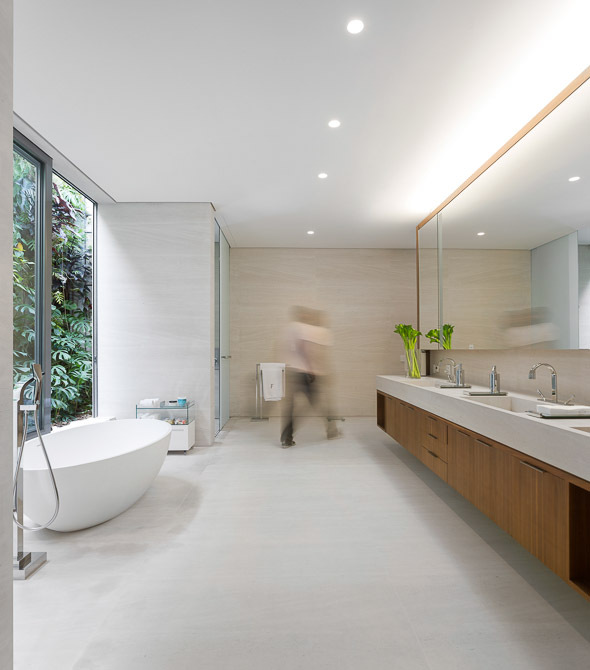 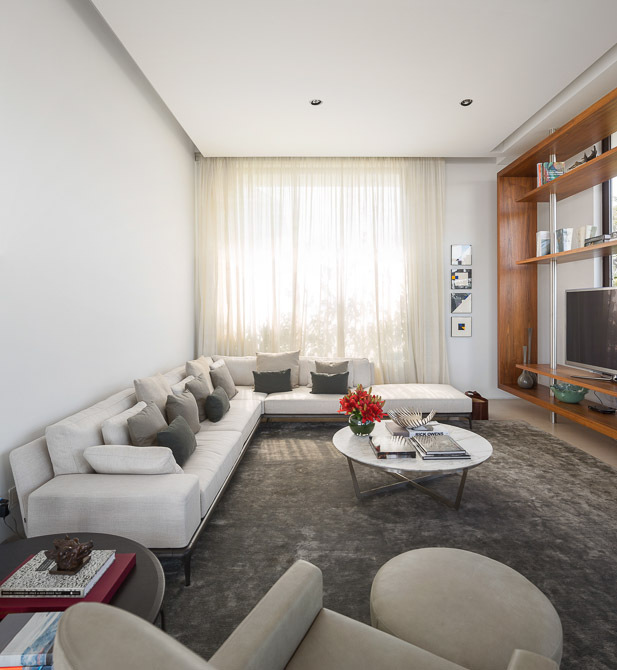 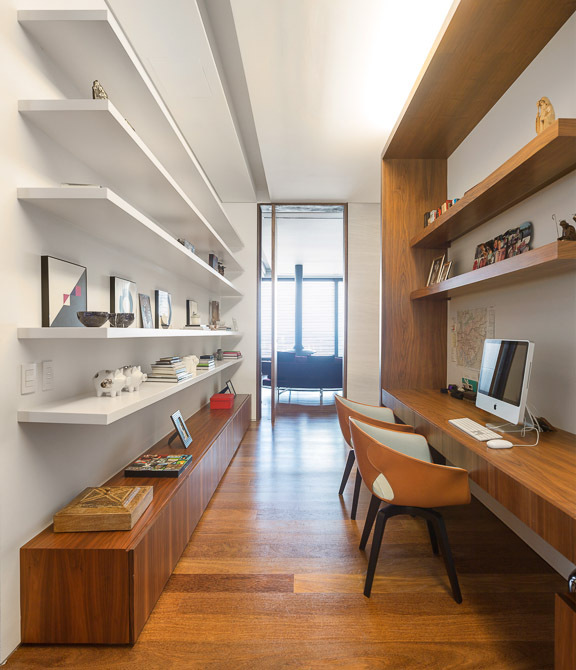 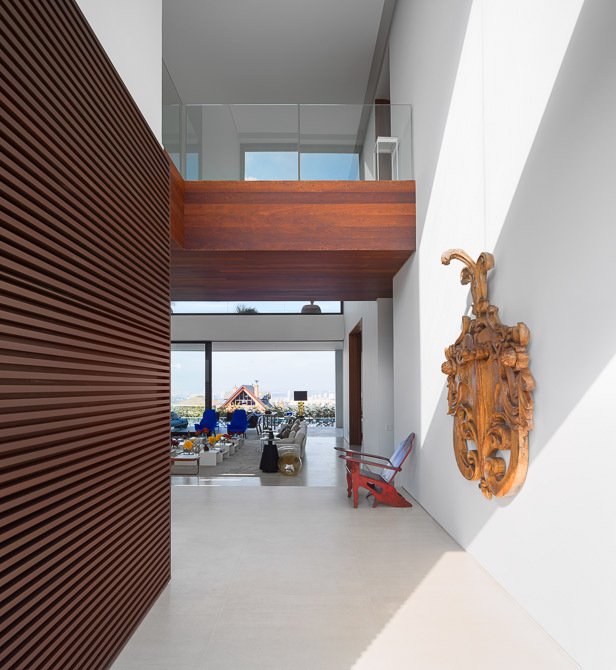 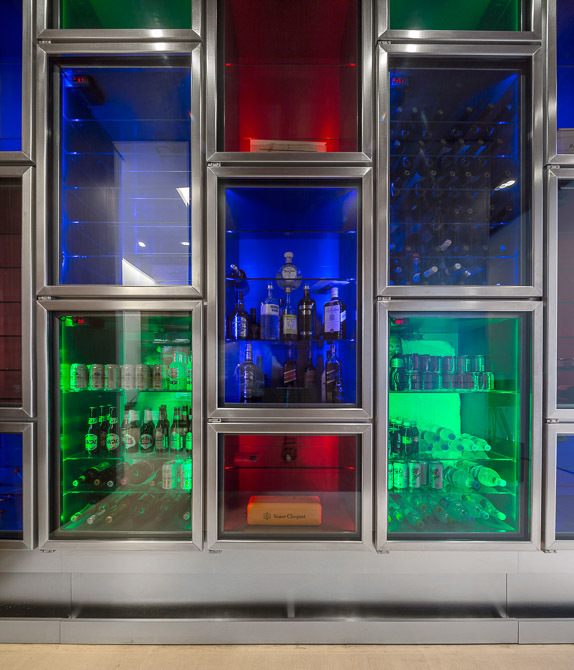 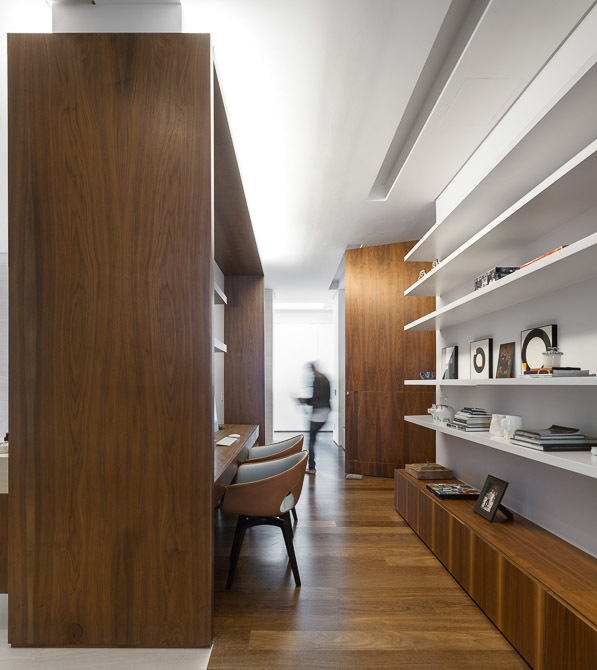 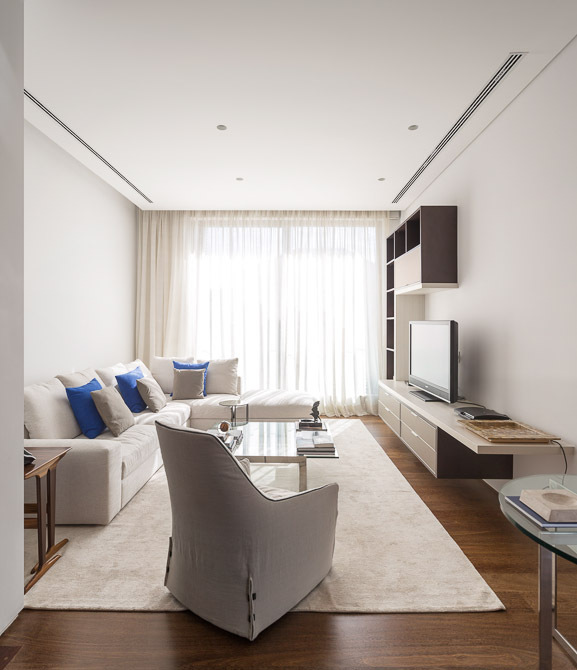 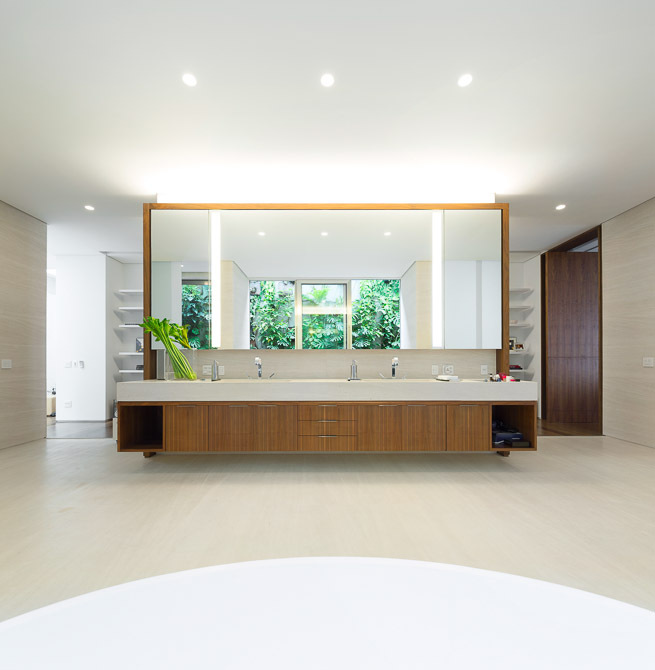 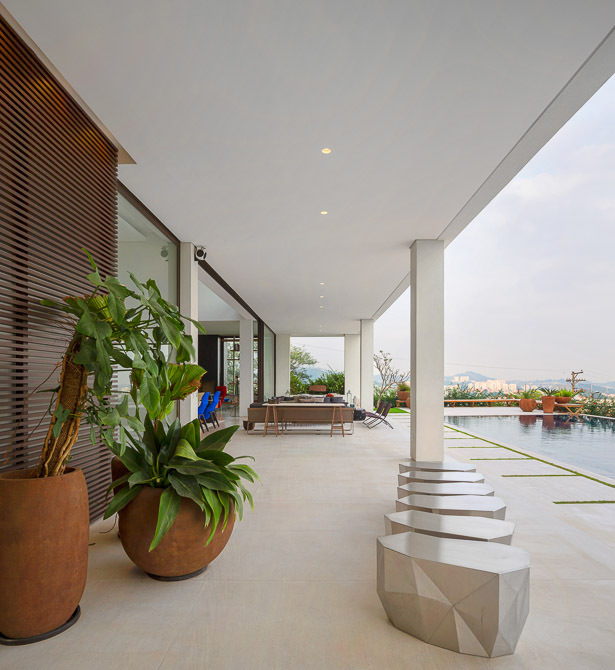 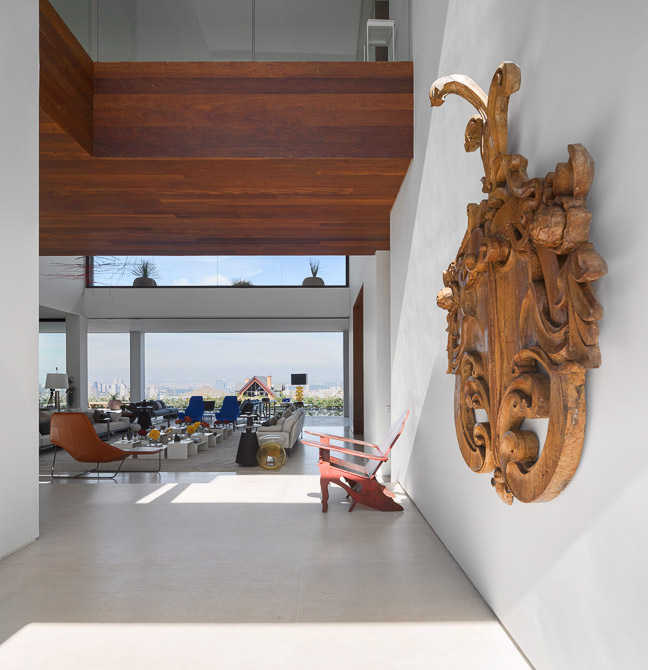 Combination of white concrete and wooden surfaces continued on the interior design, visually connecting interiors and exterior. 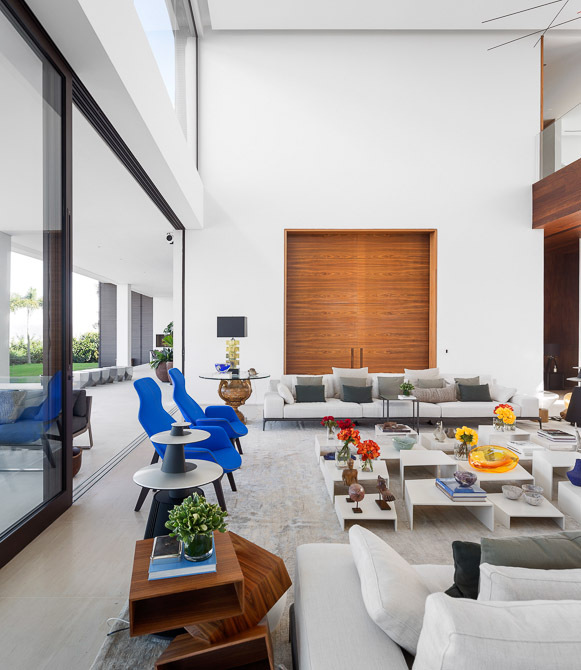 Furniture is modern, mostly white or light gray and I specially liked blue chairs standing out nicely from the rest. 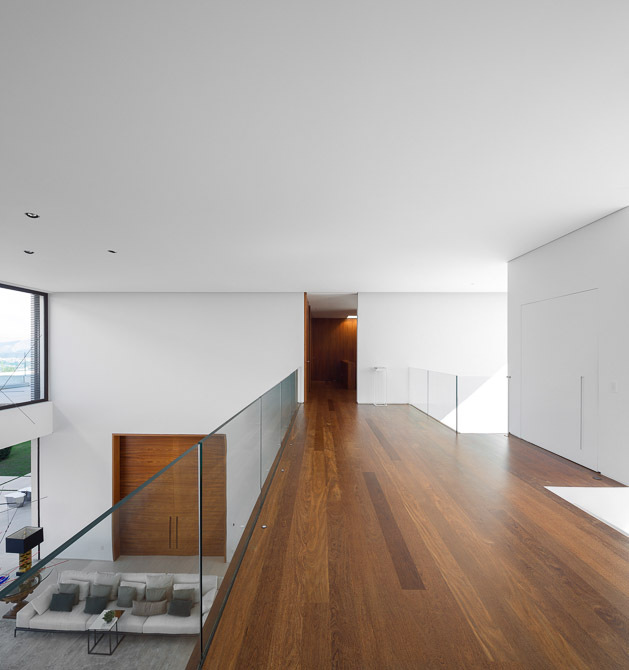 Double height floors and minimalism created wide open space with daylight reaching deeply into the house through floor-to-ceiling glass windows. 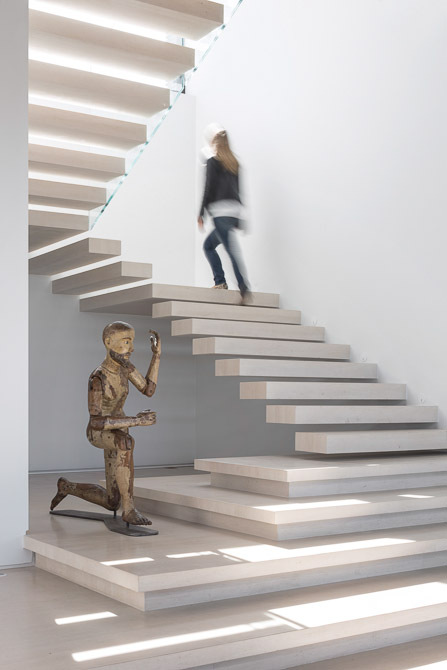 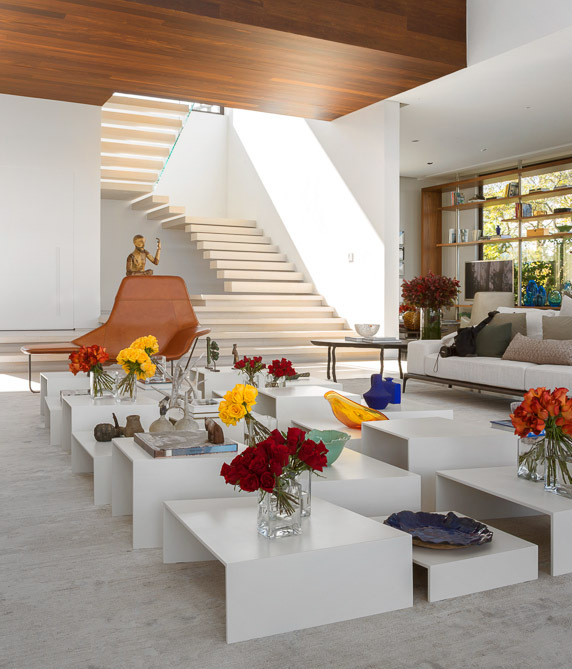 I also noticed gorgeous floating stairs and decided I want one! 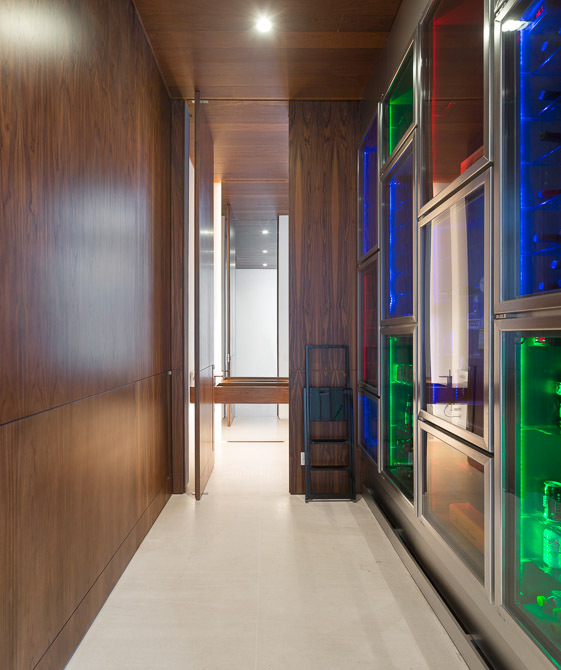 Kitchen is worth mentioning as well. 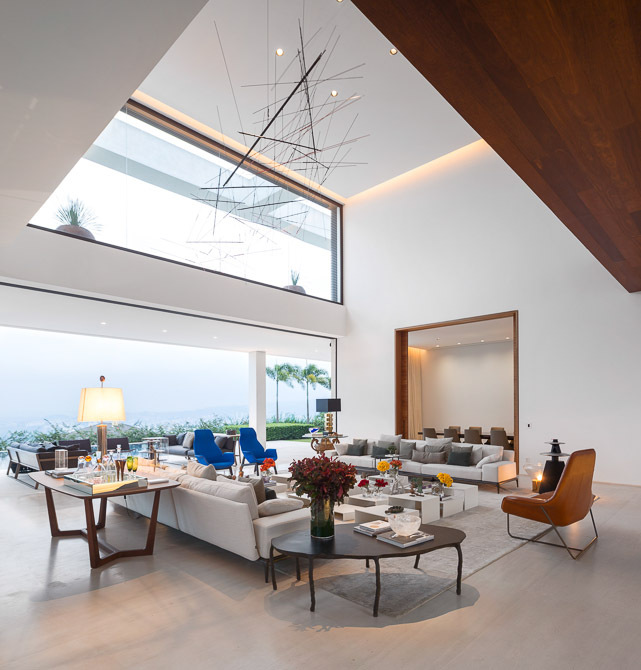 It's not large but it's definitely charming in some modern way. 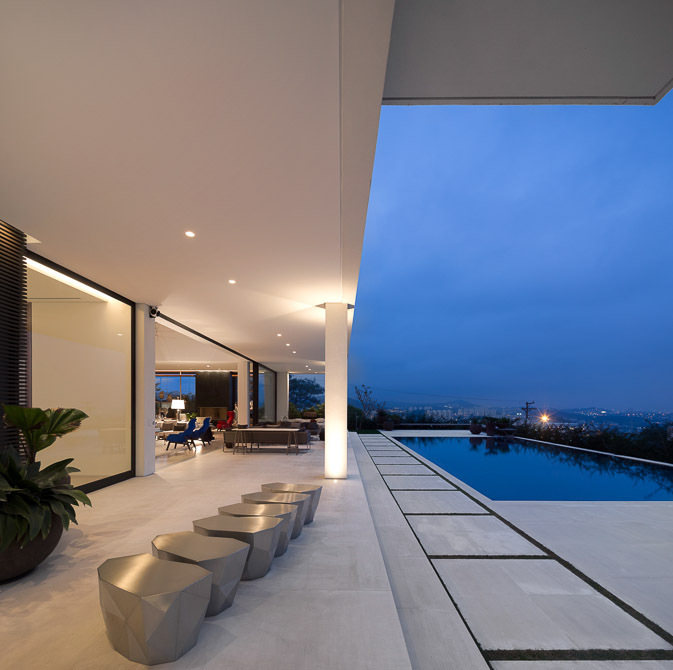 How do you like this appealing modern home? 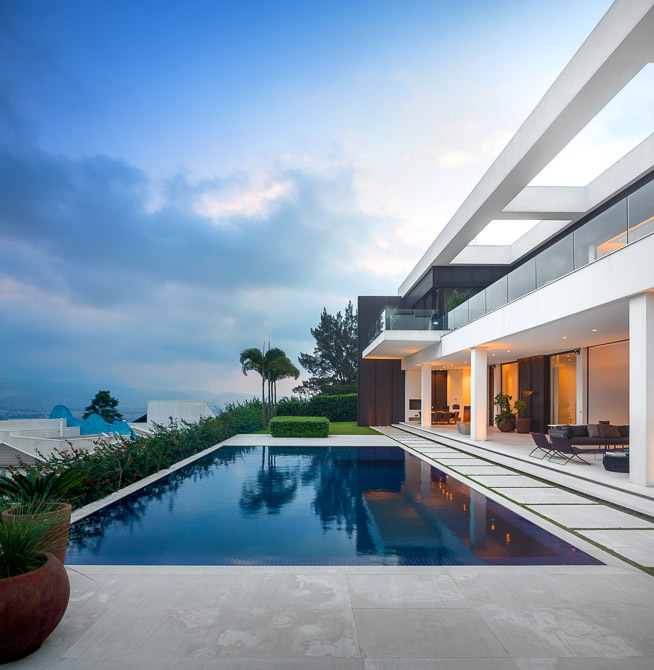 Let me know in the comment section below.